The Design and pattern by Masahiro Chatani. My second try Origamic Architecture "St Paul's Cathedral"
My second try was "St Paul's Cathedral". 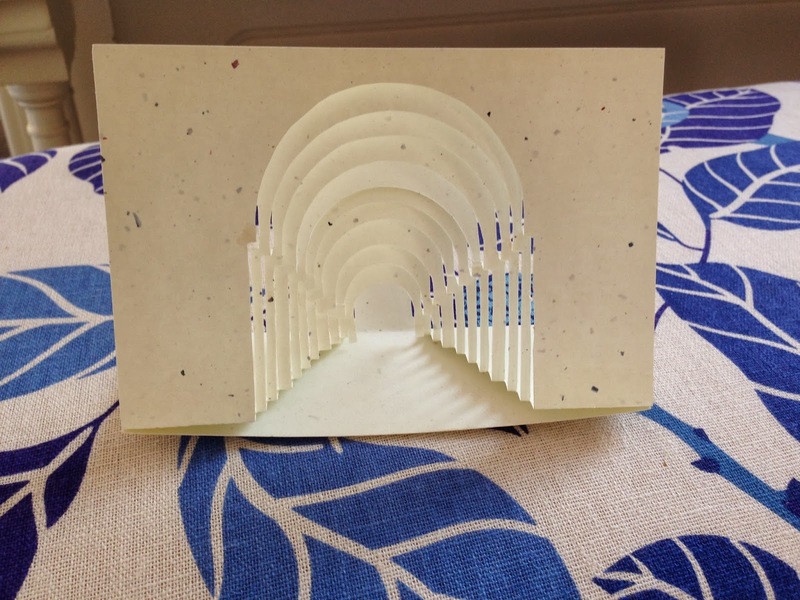 I didn't know what "St Paul's Cathedral" really looks like at all until I finish this Origamic Architecture. I picked the pattern of this building because I thought it is really beautiful. So, I just researched it. Here it is. So, I ordered Pattern Sheets of Origamic Architecture by Chatani Masahiro via amazon. Many of you may already know already but just in case you don't know, Mr. Chatani is the person who came up with the basic Origamic Architecture idea. 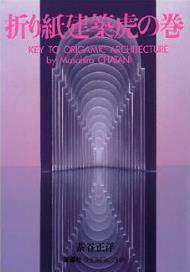 He has published many great books of Origamic Architecutre you might want to check. I will take some pictures of his book and post on next blog. I love origamic Architecture. 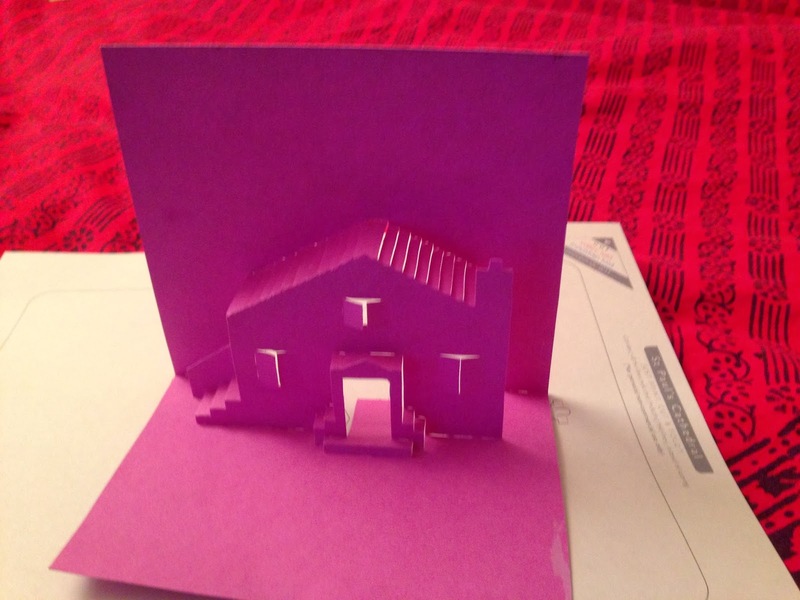 This is my first try "Pop-up Architecture". This pattern is very simple and easy for beginner. What was hard for me trying Origamic Architecture for the first time? Cutting was fun and easy. 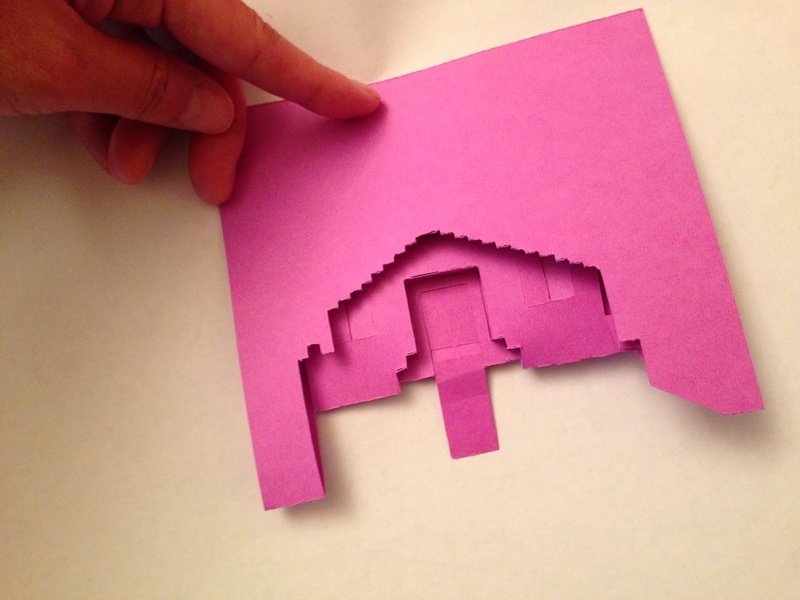 Folding the paper after cutting was the hardest things to do for me. I thought I would never fold it in half. Took a while to figure it out. 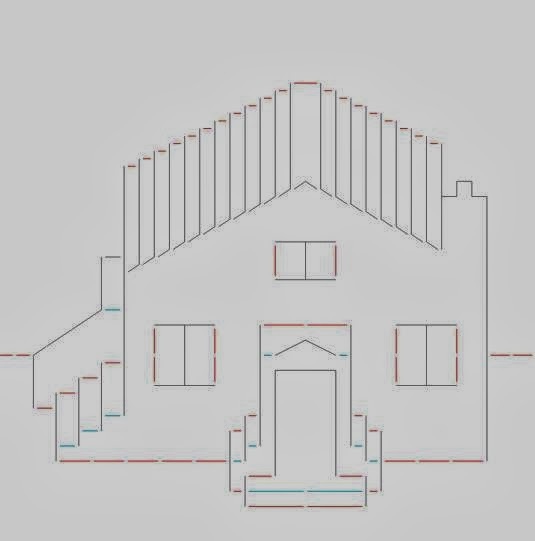 How long did it take to finish this simple house pop-up? About 20min to cut, an 40min to fold and shape. Well, this was my first time.